Notice the later words “for Line Manager”, yes, the contents are the same, but tailored to fit for line managers’ interests. Openning is nearly the same, design it for yourself and your participants. E.g. 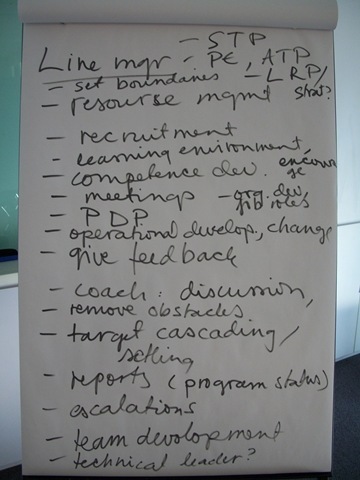 ask them to figure out the one he/she knows most, form a line of line manager experience / agile experience, etc. Still, groups in maximum diversity to promotes conversation. 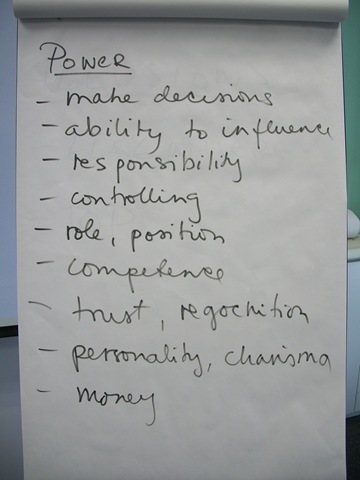 Something are really universal and nationality-independent, like when you feel full of energy or your understanding of power. 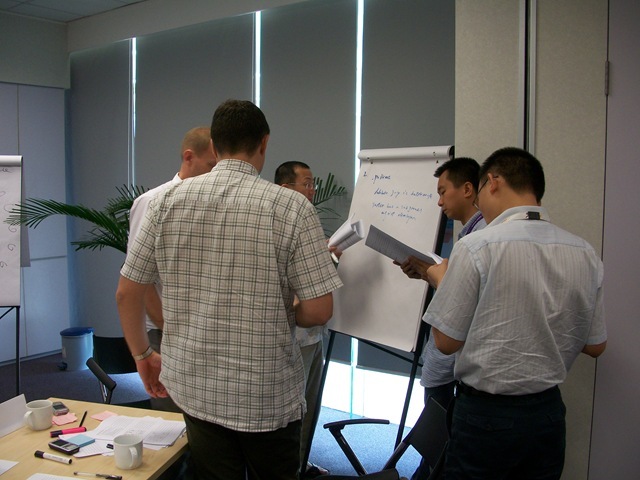 The special session for line manager is to understand the leadership in Scrum, since there are different roles in Scrum, clarify questions like “who does which leadership tasks in Scrum” is important. Also they need to figure out those potential conflicts. 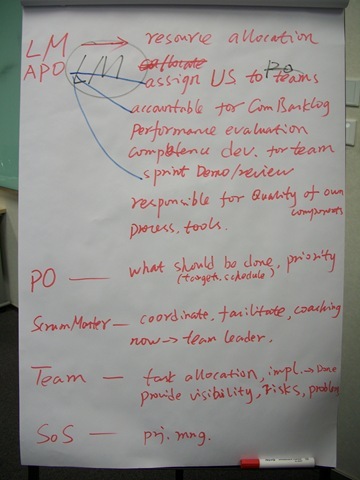 Team dynamics describes the interactions among team members, and their autonomy system. Understand this helps to move team forward. 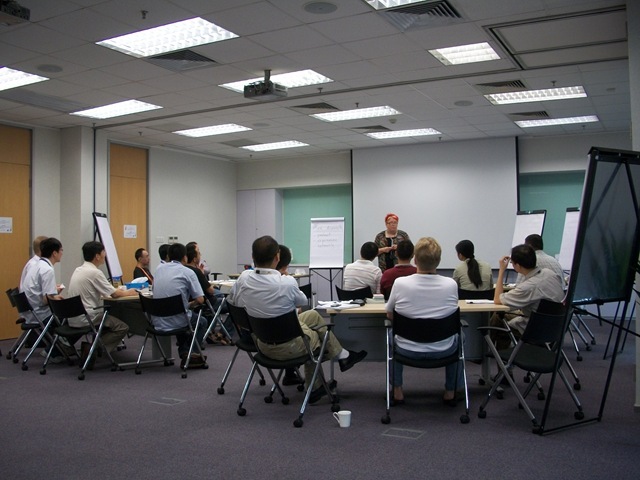 Case study is always a good method helping people understand concepts, list several cases that team has a problem, ask the participants form groups to discuss how to help teams moving forward. 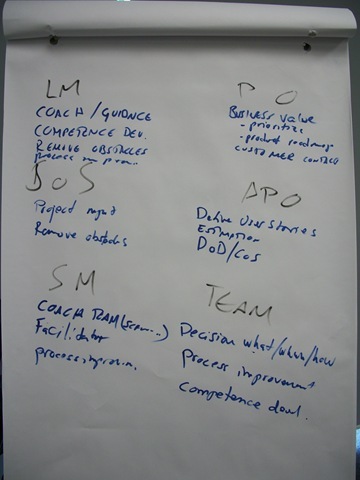 What is the line manager role in Agile? There is no simple answers, every organization and line manager has to think for themselves, since role will probably change gradually, over time. 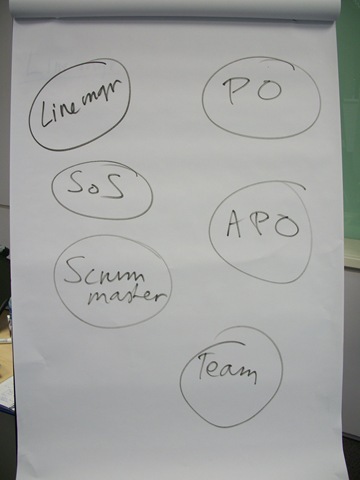 There are many different possible roles of a line manager with a self-organizing Scrum team, e.g. 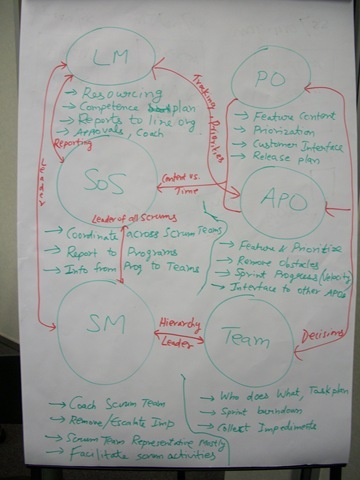 To help them understand how making sense of the line manager role, gave them an exercise. 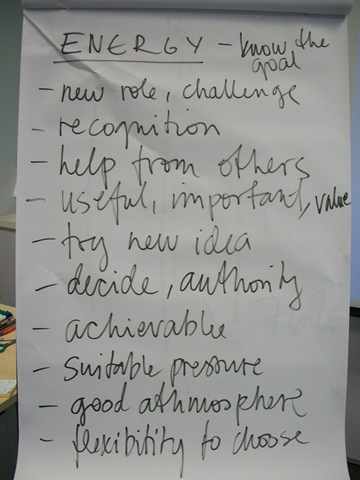 Participants check their role now and how do they want to develop it : "my different roles and tasks", "current state", "target state", "what change can I make to get there?". One good thing happened was, asking them to check their expectations written before, check if any expectations missing or not covered or still questions. Which triggered a short discussion within those groups, then they actually reviewed their memory than just check the list. Finally, go through all the questions listed in Parking Lot, training is finished here. Feedback part is the same, a small retrospective, collecting comments on post-it notes. 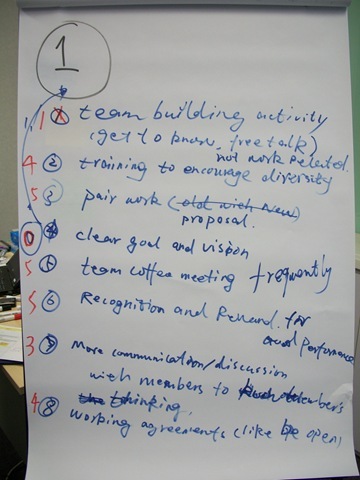 After been paritipated both trainings, the impression was, line managers are more active / talkative / eager to know / responsive than the scrum masters or team members in previous bootcamp, and normally better English skill :-( Unfortunately, English is essential for understanding others and been understood by others. One thing line managers should keep in mind is, do not be too active / talkative to hurt subordinates’ go-aheadism. 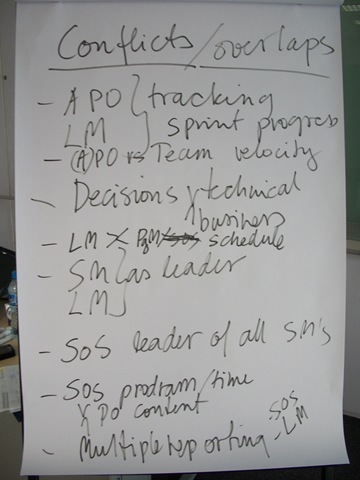 1 Pings/Trackbacks for "Working With Self-Organized Teams for Line Manager"